Here at Moortek we have agreements in place with BT, Plusnet and the Fidelity Group to supply Telecoms, Broadband and Networks to your business or home. We offer an exciting range of business services and products designed to get you communicating better and more cost-effectively. These services are brought to you via a network of telecoms and IT specialists across the UK who deliver local services to local businesses and homes. They are selected for their ability to provide excellent service, support and consultancy across a wide range of technologies. Our extensive portfolio of products and services - from a single phone line to a Hosted VoIP platform – are always selected to improve your business communication needs, today and into the future. And for our business users we offer flexible 30 day contracts. Being truly independent we will recommend the best solution for your needs, and your budget, from the UK’s leading telecoms providers with whom we have excellent relationships, including BT, Plusnet and Fidelity Group. This ensures that your order is progressed smoothly and that you’ll receive first-class service, support and of course value. To ensure we meet your business communications needs first time round, we offer a FREE telecoms audit of your existing services. On average, our customer save over 20% just with the money we can save you by switching providers. 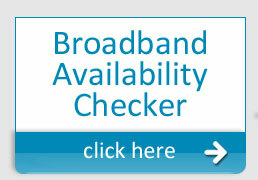 Moortek broadband portfolio meets business customers’ need for fast and reliable connectivity easily and lucratively. Choose from Fibre Optic Broadband (FTTC up to 80Mbps and FTTP up to 330Mbps), fixed rate ADSL up to 2Mbps, rate adaptive ADSL. Rate adaptive ADSL and ADSL2+ Business broadband packages meet specific business requirements and offer unlimited usage. 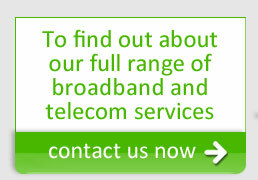 latest offers from leading telecoms vendors. 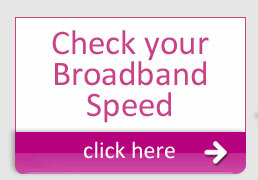 For fast, reliable, wireless broadband for the home or office call us. As long as you are within our European footprint and have somewhere to install our dish with a clear view of the southern sky you can get our broadband service. Our service is compatible with any computer that has a network connection and by using a router you can even share the service with multiple computers. We use ASTRA, Europe's leading provider of satellite services, to deliver broadband via ASTRA2Connect - so not only can you experience the same reliability as Sky TV but you can also receive Sky or Freesat from the same dish. In fact, with our new VOIP Telephone service you can even get a UK telephone line from the same dish too! 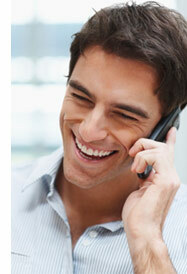 advantage of cheap mobile call rates is important to keep costs down, and business up! If you are considering a business grade telephony solution for your business, then Hosted VoIP is right for you. Hosted Business VoIP offers the key benefits of economies of scale, cost efficiencies and centralisation (even for small businesses) plus it also delivers the feature-rich capability and flexibility of an IP-PBX. Call us now to take advantage of our cheap VoIP packages. Moortek’s Leased Line service provides dedicated point-to-point connections for voice, data, graphic or video communications. It provides secure, reliable, connectivity for a fixed fee. A leased line is the answer if you are looking to permanently connect two sites together with an always-on connection. A leased line can carry any type of traffic including voice, data, video or web content, and offers dedicated, high-bandwidth, guaranteed connectivity. It also offers symmetrical data transfer meaning you can send and receive information at the same speed and at the same time. Why use a Leased Line? With a Moortek’s Leased Line you pay a fixed charge, irrespective of usage. So budgeting and accounting are simplified and, unlike services billed on a usage basis, there are no nasty surprises if you find that a dial-up connection has been left on by mistake. A Leased Line is a dedicated point-to-point connection solely for your use; it is not shared with any other traffic. It represents one of the most secure ways of connecting two sites together. You may wish to connect your Leased Line to a location which has access to the internet, Moortek can offer enhanced encryption equipment or firewalls. If you have a particular security concern, our consultants will work with you to upgrade your security so that it meets your needs. Moortek’s Leased Line service offers the highest possible line quality. The network is managed 24 hours a day, 365 days a year so you can be assured that your connection is in safe hands.